The world is changing into Online Era. Everyone is having Smartphone and laptops in their hand. Peoples are taking photos and uploading into social media image sharing websites and they become popular faces in the world. 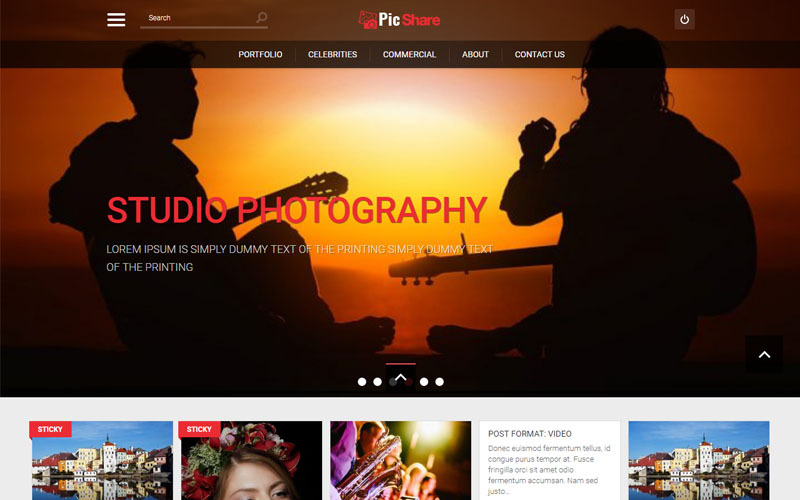 So Phpscriptsmall developed a script called Image Gallery Script is like an online image sharing website.This is one of the beautiful script which suits for professional and entertainer photographer who are ready to showcase their photo portfolio to all over the world people and customers. Our Open Source PHP Image Gallery Script is the greatest trending script in the marketplace world. We developed this script with multiple categories and multiple sub-categories, so that users can post their images according to their category wise. In our script, users canuploads and shares the images from any location in different size and resolution. The core functionality of the PHP Media Sharing Script is user can share any type form of the multimedia like image, video with any type of file format. The User can also able to view all list of published date of a post, comment and reply on the post without login.The users can post and view others images, photos and digital content and even purchase them. This PHP Image Gallery Script assists to increase the brand value and revenue model. The features of Photo Sharing Social Network Script are unlimited & responsive galleries, Easy integration, Social media integration, multiple gallery layouts,Google optimization; advanced CMS management, Drag & Drop function, high speed downloads, customize images and so on. The key features of Picshare Script are IP based blocking, User-based blocking, Image blocking, session and cookies control.The admin can handle and manage our script without any technical knowledge in safe and secure manner. We developed this script with PHP and Mysql with secure coding style. The main two feature of the Image Gallery Script are SEO friendly and Mobile responsive. Our Script is fully responsive so website can be viewed in on devices including Mobile phones, Tablets, iPads and the website can be accessed from anywhere at any time and our script is SEO friendly, so more visitor come from the search engine like Google, Yahoo etc, so website owner can get high revenue from the Photo Sharing Social Network Script. We also provide you with 1 year of technical support and 6 months free updates of the source code and will provide you with entire source code after purchase. Phpscriptsmall is the leading software and technology firms with 16 years of experience in the successful track in the completion of numerous projects in different domains. So we are the right place to deliver the best Picshare Script to the clients. You guys are really awesome for the collection of my personal image gallery to remember wonderful moments. Keep it up the work. I love the excellent deal with the client from the team while asking for the support is quick. Thank You for it. According to me, this script is very attractive features to capture the eyes. I recommend this image gallery script for official use too.